When Ghantasala sang his first solo hit 'Gazula Pillai', few would have imagined that here was a voice that wou1d dominate Telugu film music for the next quarter century. Recipient of the Padmashri, this beloved son of Andhra sang over 10,000 songs, and composed for over a thousand. Ghantasala's name is synonymous with sweet, undying music. Ghantasala's voice was the gift of God. A gift that spoke of sweet pleasures and hurting sorrow. A gift that Telugu people a11 over the world cherish with love and respect. A vocalist of infinite variety, a composer of creative depth, a scholar of classical music and a human being of humility and piety, Ghantasala achieved artistic glory not only with his film songs but also with his non-film renditions. As V.A.K Ranga Rao, musicologist, and critic who knew Ghantasala said, "It's no exaggeration to say that Ghantasala's voice is the most majestic voice in India. For more than twenty five years, Ghantasala devoted himself to singing and creating some of the greatest songs which, in fact, have enormously contributed to the box-office success of a number of Telugu films particularly in the 50s and the 60's. It was the golden era of Telugu cinema when stalwarts like N T Rama Rao and Akkineni Nageswara Rao strode Telugu celluloid like histrionic giants. Ghantasala managed to sing for both matinee icons, varying his style and tenor to match the screen charisma of these super heroes. Music came naturally to Ghantasala. Born into a family of musicians on December 4, 1922, in Gudivada (AP), Ghantasala Venkateswara Rao had for his guide and guru, his father, Ghantasala Sooraya, a noted Mridangam exponent. Deriving inspiration from his father, the young boy became a practiced exponent of tarangas, a traditional dance form of Andhra, and earned the title of Bala Bharati. He was a child actor in plays like Chintamani and Sant Sakkubai, and used to sing while dancing, accompanied on the mridangam by his father. At the tender age of eleven, Ghantasala's muse and inspiration - his father- died. But bearing his father's words in mind, Ghantasala was determined to pursue musical education at any cost and joined Vijayanagar Music College in Andhra, where he learnt Sanskrit as well as classical music. Graduating with his degree, Ghantasala was thrown into the freedom struggle and jailed for eighteen months for participating in the Quit India movement. Release from prison brought another kind of commitment - that of marriage. And marriage brought about a professional break from Samudrala Raghavacharyulu, a well known script writer and song composer from Ghantasala's mother in law's village, who introduced him to the world of films. 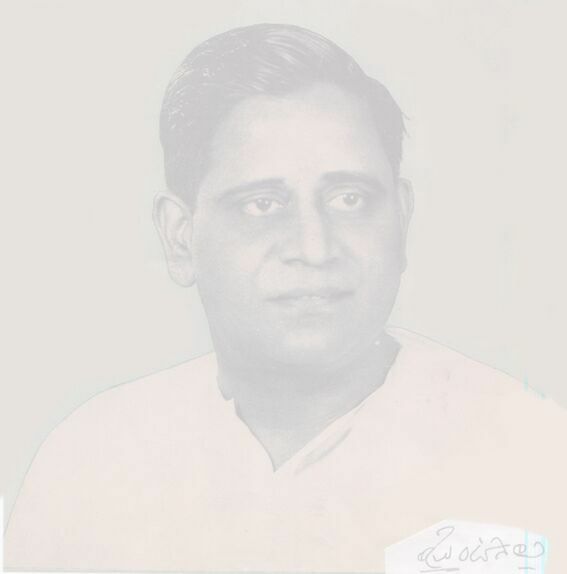 Ghantasala made his debut with the song, Yennela Chirunavvula, in Swargaseema in 1945. The rest is history. Music directors and film producers recognized the potential of his powerful voice, and hits like Balaraju and Devadasu followed. Ghantasala had the rare opportunity of working with the biggest talents of Telugu cinema: Lyricists like Samudrala Sr., Tapi Dharma Rao, Balijepali; composers like C.R.Subburaman and Ogirala; and singers like P.Bhanumathi and Krishnaveni. Ghantasala himself was a talented composer. The most distinctive quality of Ghantasala's singing is his clarity of expression. As a full-fledged poet and scholar, he was clearly aware of the nuances of Telugu language. He observed a sweet, slow pace in his rendition, never hurrying. Ghantasala is sometimes accused of being over emotional, but in many songs he brings a delectable detachment - Siva Shankaree, Raave Naa Cheliya, Challani Vennelalo, Manavi Seyave, Jagame Maarinadhi, Vontarinai Poyaanu- crystallising the very essence of being human: in devotion to God, in love, and alone. Ghantasala has enriched Telugu culture through his songs. His music and songs, as Dr. Akkineni Nageswara Rao said, will be admired and enjoyed for ever. And we express our supreme gratitude in salutation to Ghantasala's greatness.